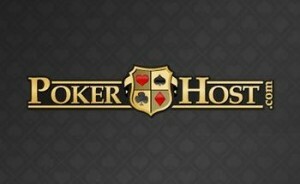 Poker Host has moved to the Merge Gaming Network (March 2010) and have now reduced their minimum deposit limits. Previously the minimum deposit allowed by this site was $10, but on the new software that limit has been reduced to $5, though only for players that are depositing using the MoneyBookers option. Not only that, but you can fund your MoneyBookers account using a variety of different methods, and the deposit limit on most of these methods is $5. So, effectively, Poker Host will accept deposit through MoneyBookers from different payment methods for as little as $5.00. While this is great news for poker players that like to make small initial deposits in order to try out a poker room, or just like to gamble at the low stakes, it is not of much benefit to players from America. While PokerHost is one of the skins on the Merge Network that does continue to accept American players, the moneybookers option will not be available to those players. No, at this site, like most others now, American players will be restricted in the deposit methods taht are available to them. Usually those methods are credit card – preferably Visa, as there can be a lot of difficulties in trying to use your MasterCard – and wire transfer. And those payment processing methods all have higher limits than $5.00. Visa deposits usually start at $20 or thereabouts, and wire transfer limits are normally a lot higher than that, usually up around the one hundred dollar mark. For non American players the Moneybookers option is the best option for making low deposits, not only at this room, but at many of the leading online poker rooms. Moneybookers has now rebranded as Skrill, but other than that name change, everything is exactly the same as it was under the old brand. Skrill is an ewallet, which means it is an intermediary between your real money accounts, such as youir credit card or bank account, and the site where you want to make a payment. You can transfer money to your Skrill account in dozens of different ways. Setting up your Skrill account takes a bit of work. You will need to verify your identity and your financial details. Identity verification takes the usual route of sending in your scanned documents. Verifying your financial details is a little bit more complicated. Basically you enter your bank account details to the skrill site, and then they make a small deposit of a few cents to your abnk. After that transaction is cleared, you need to check exactly how much that amount was for, then verify that amount in your Skrill account. The idea here is that you must have access to that account in order to see the exact amount of the deposit. Once you have done all that then you willbe able to use your new Skrill account to fund any of your online gambling accounts. Skrill is very gambling friendly; in fact they actively target online gamblers as their customers. If you are form a country that Skrill operates in, then this is really the best service that an online player could want. Once your account is set up, you can easily transfer funds to and from your gambling accounts. So instead of transferring your winnings back to your bank account or credit card, and then having to deposit again to a new site, you transfer to your Skrill acoount. It doesn’t seem like less work – the same amountof steps are involved – but the real benefit lies in both the speed with which you can make deposits using this service as opposed to traditional depositing methods such as credit cards, and the low fees that are applied to these transactions. The Skrill fees are so low that almost all gambling operators choose to pay them for you. With credit card processing fees becoming prohibitely high, gambling operators much prefer this low cost option. The relatively cheap fees are the main reason that deposits by Skrill almost always have the lowest limits allowed, often around the five dollar mark. Withdrawals by this payment method are cheap too, and again here the operators usually, but not always, pay the fee for you. None of that is of any use to players from the United States though, as, while Skrill does operate accounts for Americans, it restricts gambling related transactions for those players. In fact, they might stop operating in America altogether, given the uncertain nature of trying to do business there for any one involved in any way with online gambling. If and when online gambling becomes legalized that may change, but for now it is not a viable option for players from that country. I cannot categorically say that there is no risk involved with using this service – where ever there is money there is risk – but personally speaking, I have been using this service since the early years of this century, and I have never had a problem. Granted I do mainly use gambling sites that are based in the United Kingdom, so I am unlikely to run into problems, but even so, in over ten years of operating my MoneyBookers, now Skrill, account, I have only ever had one problem, and that one was resolved rather quickly by a surprisingly efficient customer support agent. As a side note, that one problem that I had was from trying to log in to my Skrill account while I was in a different country than my home country, so I can’t really complain about their security features.